As a member of the Denver community for over two decades, we’ve had the privilege of getting to know the neighborhood. We have joined in on celebrations, graduations and birthdays. But most importantly, time and time again, we witness the unique bond between families, especially parents and their kids. 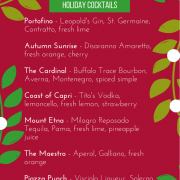 On any given night you can find Carmine’s on Penn filled with love, laughter and food made to share. Not only do we support the Denver community, but also the families that live here. We are honored to host Warren Village, a local nonprofit dedicated to breaking the cycle of homelessness in single parent families, for a fundraising dinner on Tuesday, July 12. We will donate at least 50 percent of every meal purchased – both dine-in and take-out – to the organization. By dining at Carmine’s with your family on July 12, you will help support a single parent family getting back on their feet. We’re hoping to pack the house and celebrate families of every age, shape and size. Give us a call at 303-777-6443 today to reserve your table for this special evening. To learn more about Warren Village and how they are helping single parent families in Denver achieve self-sufficiency, visit www.warrenvillage.org. For more than two decades we’ve shared our passion for Italian wine with our family, friends and anyone who joins us for dinner at Carmine’s on Penn. A love of vino (wine) has been a part of Italian culture for centuries, and the Italian Peninsula is known for housing some of the finest vineyards and wineries in the world. Some of our favorite moments are when we have the opportunity to introduce a restaurant guest to a new Italian wine. We love sharing our extensive knowledge of Italian wine with you – our friends, family and restaurant patrons. Known to some as ‘purple wine soda’ and others as the cheap, poorly made wine from the 1970s, Lambrusco is shaking off previous conceptions and inviting wine drinkers to give it a second sip. Lambrusco is a well-made sparkling red wine, boasting a perfect balance of sweetness and crisp acidity. We have found that a glass of Lambrusco provides a blissful escape from workday stress — particularly when enjoyed on the Carmine’s patio. Currently, we are offering Cleto Chiarli Amabile Lambrusco by the glass. We invite restaurant patrons to savor the flavor of this Lambrusco at Carmine’s. Whether you prefer to unwind inside or enjoy a relaxing evening on our patio, we’d love to introduce to one of our favorite Italian wines this weekend. 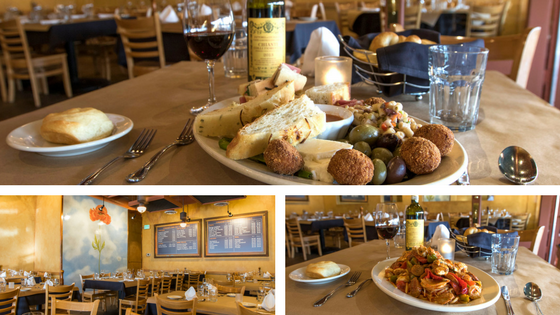 At Carmine’s on Penn, the only thing we love more than Italian food is our community. And we are honored to serve local organizations that make a lasting impact on the Denver community. On Wednesday, June 1, we invite you to join us at Carmine’s on Penn for a fundraising dinner to benefit The Denver Waldorf School. 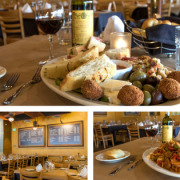 On this evening, guests will have the opportunity to enjoy their favorite Carmine’s dishes knowing that at least half of the proceeds will support The Denver Waldorf School. The more diners we have, the higher percentage of proceeds we’ll donate! Founded on Rudolf Steiner’s humanitarian curriculum, The Denver Waldorf School awakens and inspires students’ critical thinking, emotional intelligence and artistic expression, preparing them to bring relevant contributions to the world. We’ve been inspired by the lasting impact The Denver Waldorf School has on their students, as well as the Denver community at large. We hope you, your friends and family will join us on this special evening to support the programs at The Denver Waldorf School. Give us a call today at 303-777-6443 to reserve your spot for The Denver Waldorf School Fundraising Dinner. The long months of winter are finally coming to an end. Today is a day to celebrate — with a cocktail in hand on the Carmine’s on Penn patio! 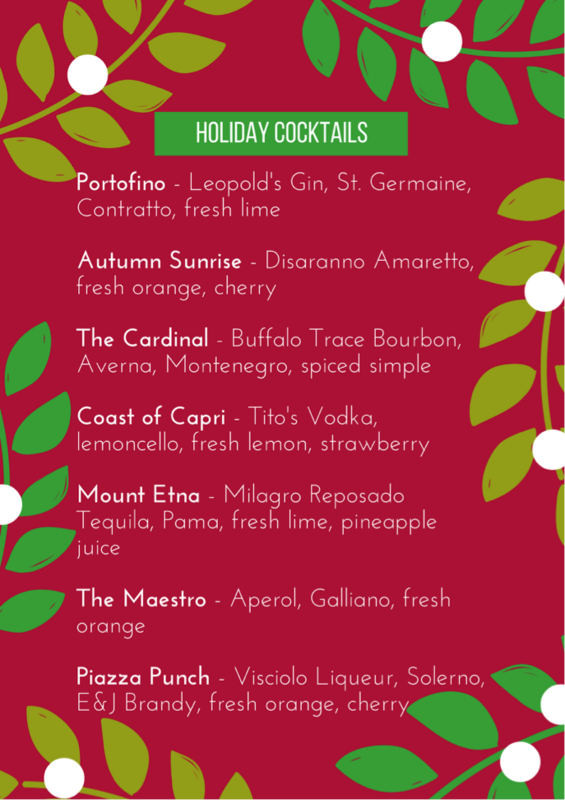 While our custom Italian wine selection is expansive, we challenge you to tantalize your taste buds by exploring the newly introduced cocktails of Carmine’s Sunset Collection. Inspired by flowers blooming, warmer days and most importantly, the beautiful Colorado sunsets, the Sunset Collection combines fresh ingredients and our bartenders’ passion to create unique, handcrafted flavors. Enjoy the early evening with the Pink Lemonade, intermingling hints of nostalgia with a refreshing blend of Denver Gin, Rosato Wine and fresh squeezed lemons. Complete your dining experience by indulging in the Stallion, a blend of E&J Brandy, Frangelico and White Chocolate Godiva. Prepared in generous sizes and delivered in high quality glassware, all nine beverages from the Sunset Collection reflect our commitment to providing you with an unforgettable dining experience from beginning to end, first sip to last bite. Throw superstition aside this Friday the 13th and help us start a new tradition of celebrating World Cocktail Day at Carmine’s on Penn. Your seat at the table is waiting! Join Carmine’s Chef Joe on Wednesday, May 11 from 7-9pm for a special community dinner featuring a customized four-course menu to be paired with four hand-picked Italian wines. Seating will be limited to 20 reservations at $75/person. Call us today at 303-777-6443 to reserve your spot. It’s a place where the views are breathtakingly beautiful. Food is crafted with love. A wine connoisseur’s paradise. No, we aren’t describing Carmines on Penn, but rather Tuscany. We’ve fallen in love with Tuscany, and we hope that after an evening learning about the region, you will too! Located in the central region of Italy, just north of Rome and south of Genoa lie the rolling hills and rich culture of Tuscany. Unlike its metropolitan neighbors, Tuscany holds on to a way of life that has been passed down from generation to generation. Meal preparation in Tuscany begins early in the day. Sauces simmer and meats marinate until they reach perfection; each dish handcrafted and assembled with love. With so much love put into each dish, there is special attention placed into the quality of ingredients. Ingredients are fresh, preservatives non-existent and the wines originate from local vineyards. Meals are savored and shared with friends and family. Ranging from one to three hours per meal, the people of Tuscany enjoy each other’s company while delighting in the delectable dishes. We love the values of the Tuscan culture because they align so closely with those of Carmine’s. Not only do our chefs arrive at the kitchen early in the morning to start cooking, but we also focus on creating an atmosphere that allows families and friends to share a part of their day together. We want to share our favorite memories of Tuscany and invite everyone to join us for a Tour of Tuscany dinner and wine pairing event on Wednesday, March 16. Owner Brad Ritter will host an evening walking guests through food and wine inspired by his most recent travels throughout the vineyards and wineries of Tuscany. Join us for a meal that will delight your taste buds and feed your mind. Space is limited! $75/person. Call us at 303-777-6443 to reserve your spot at the table.